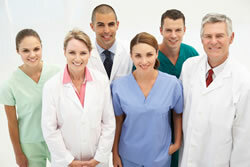 Molar Hypomin and other D3s pose many tough challenges for practitioners. Recognising that several viewpoints exist about how best to handle these challenges, our intention at this stage is to gather help from across the practitioner community and assemble a logical list of key questions around which clinical guidelines can be developed. Clearly such "guideline needs" will differ depending on practitioners' experience levels and type of practice. Hence we suggest directing our collaborative efforts at two categories: the basics, and the trickier stuff managed by specialists. Once the key questions and subquestions are identified, we will move towards establishing robust answers where we can – thereby highlighting uncertainties that remain. Hopefully the ensuing guidelines will not only strike a flexible consensus, but also stimulate research and discussions that lead to better levels of care. And if the latter is to work well, future research goals should be kept at the front of our minds, right alongside the clinical challenges. This then becomes a translational research effort which of course is what D3G is about. To stimulate your creative juices, question-based frameworks containing some of our early thoughts for Molar Hypomin follow. 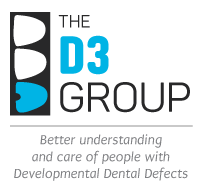 And to facilitate specialist input, we provide links to key literature and snapshots of topics currently being researched at D3G. So please put your thinking caps on and email us any suggestions for key questions, along with your ideas about suitable answers. And keep watching this space because we intend to run it along wiki lines (sort of), by updating with the best consensus ideas as they come to hand.